The New Testament clearly shows that false teachers were working within the church while the original apostles were still alive. Such counterfeit ministers were wrongfully handling the Word of God, resulting in teachings that sounded good, cloaked in clever theological terminology, but were nevertheless false. Ultimately, whether intentional or unintentional, such deceitful teachings originate from the spiritual darkness of Satan the devil. Widespread deception is now taking place in modern “Churchanity.” Those behind such deception, knowingly or unknowingly, are drawing from the original source of all false religion—“Babylon the Great, the Mother of Harlots and the Abominations of the Earth.” While such false teachers—in ignorance or willful determination—proclaim Satan’s ancient fables as “enlightenment,” they are leading millions of churchgoers into spiritual darkness. Many Christians in New Testament times failed to heed the warnings of Christ and His apostles against deceivers who would bring in false doctrines. After the death of the apostles, the subversion of the church began to accelerate. In his book The Story of the Christian Church, Jesse Lyman Hurlbut wrote of the vast, rapid changes that took place in the church at that time. “We name the last generation of the first century, from 68 to 100 AD, ‘The Age of Shadows.’… For fifty years after St. Paul’s life, a curtain hangs over the church, through which we strive vainly to look; and when at last it rises about 120 AD with the writings of the earliest church fathers, we find a church in many aspects very different from that in the days of St. Peter and St. Paul” (p. 42). The changes to the apostolic church were so swift, so complete and so thorough that the church became almost unrecognizable. Whole churches were overcome by the spiritual darkness of false doctrines. The overwhelming majority of Christians were deceived into accepting “new” doctrines; those who refused were looked upon as heretics. Christians who were faithful to the true Gospel of Jesus Christ were driven out of the local churches (III John). They left the “organizations of men” in order to love and serve God in the truth. Only the church at Ephesus was able to withstand the deceptive teachings of false apostles. Of them, Jesus said: “I know your works, and your labor, and your endurance, and that you cannot bear those who are evil; and that you did test those who proclaim themselves to be apostles, but are not, and did find them liars” (Rev. 2:2). This is a direct reference to the so-called “early church fathers”—the founders of what would become Roman Catholicism! Like the brethren in Ephesus, we are to test and prove the teachings of ministers and pastors who claim to bring us the doctrine of God! If we fail to recognize false teachers and their teachings, we will succumb to their soothing, but evil, influence and be seduced by the forces of spiritual darkness. The apostle John warned that we cannot have fellowship with God if we are walking in spiritual darkness. “And this is the message that we have heard from Him and are declaring to you; that God is light and there is no darkness at all in Him. If we proclaim that we have fellowship with Him, but we are walking in the darkness, we are lying to ourselves, and we are not practicing the Truth” (I John 1:5-6). Only by walking in the light of the truth can we have fellowship with God the Father and Jesus Christ. Those who claim to know God but do not practice the truth are only deceiving themselves. God Allows Deception and Apostasy—Even Within the Church! Christians who have lost their love of the truth—and who fail to “prove all things” by the Word of God—can easily be deceived by counterfeit doctrines. Without realizing it, churchgoers exchange their love of God and their faith in His Word for a false faith in corruptible men and their organizations. Such misplaced loyalty and obedience is actually a form of idolatry. The subservient obeisance demanded by arrogant ministers in some corporate church organizations has replaced the true love and worship of God. Such exalted leaders have placed themselves between the brethren and God. True to the Scriptures, these false ministers have “an outward appearance of godliness,” but are guilty of “denying the power of true godliness.” We are admonished to “turn away” from all such leaders (II Tim. 3:5). Paul shows that these men were working within the church. They may have even been highly trusted by the congregation. But Paul was inspired by God to warn the brethren not to partake of the errors of these deceivers. Those who did not heed Paul’s warning were led away from God into the darkness of apostasy. Likewise, the apostle Peter condemned false teachers who stealthily do their evil work within the church. He warned, “But there were also false prophets among the people [in the Old Testament], as indeed there will be false teachers among you [from within your congregations], who will stealthily introduce destructive heresies, personally denying the Lord who bought them, and bringing swift destruction upon themselves. “And many people will follow as authoritative their destructive ways; and because of them, the way of the truth will be blasphemed. Also, through insatiable greed they will with enticing messages exploit you for [personal and financial] gain…” (II Pet. 2:1-3). Why were some of the early New Testament churches led into apostasy? Why did God not intervene to keep false teachers from subverting the brethren? Paul gives the answer in his first epistle to the Corinthians: “For it is necessary that heresies [brought by false teachers] be among you, so that the ones who are approved [by God and His Word] may become manifest among you” (I Cor. 11:19). Paul clearly tells us that God allows false teachings to arise within churches in order to bring to light those who are truly serving Him—and those who are not. Christians who are well grounded in the Word of God will be able to discern false teachers and will reject them; no deceiver will be able to seduce believers who honestly and diligently study the Scriptures. But those who compromise with the truth will fall into apostasy. In his letter to the Ephesians, Paul urged the brethren to grow in the knowledge of Christ and to resist false teachings. We are not to be like immature children “tossed and carried about with every wind of doctrine, by the sleight of men in cunning craftiness…. [Rather, we are to be] holding the truth in love, [so that we] may in all things grow up into Him Who is the Head [of the Church], even Christ” (Eph. 4:14-15). The Apostasy is Coming—Will You be Deceived? In his sobering letter to the church at Thessalonica, the apostle Paul gives a powerful warning that Satan’s deceptive tactics would continue down through the centuries and would reach a climax in the last generation shortly before the return of Christ. He writes, “Now we beseech you, brethren, concerning the coming of our Lord Jesus Christ and our gathering together to Him, that you not be quickly shaken in mind, nor be troubled—neither by spirit, nor by word [a false teaching], nor by [a false] epistle, as if from us, saying that the day of Christ is present. “Do not let anyone deceive you by any means because that day will not come unless the apostasy shall come first, and the man of sin shall be revealed—[the Antichrist] the son of perdition, the one who opposes and exalts himself above all that is called God, or that is an object of worship; so that he comes into the temple of God and sits down as God, proclaiming that he himself is God” (II Thess. 2:1-4). The prophecies of the New Testament clearly show that this Antichrist will arise out of the world’s extant political and religious system referred to in Scripture as the “mystery of lawlessness” (verse 7). Paul shows that Satan’s efforts to mislead mankind will culminate in the end-time deceptive work of the Beast and False Prophet of Revelation 13, leading to a great apostasy or “falling away” from the truth among professed Christians. Confirming what Paul wrote, Jesus gave the apostle John a startling vision (recorded in the book of Revelation) of the coming New World Order and of the Antichrist who will arise out of that system. John depicted this political system as a “beast” with “seven heads and ten horns” (Rev. 13:1-9). A second “beast”—Satan’s unified, worldwide religious system—is described as having two horns “like a lamb.” It speaks, however, “like a dragon” and performs “great wonders” (verses 11-13). Those who fall prey to this final apostasy will not be duped suddenly. Rather, they will have exhibited a history of repeatedly compromising with the truth of God over time. Thus, the ultimate result of deception (however small or seemingly insignificant its beginning may be) is total apostasy—the abandonment of one’s faith (the Greek literally means to push God aside. Apostasy is defined by Webster’s New World Dictionary as “to abandon what one believes in”). Paul’s words are a timely warning for true Christians in these end times. The stage is now being set for the prophesied great apostasy—in the world’s educational systems, in its governments and in the churches. Many in the New Testament era failed to heed the warnings of Paul and the other apostles. Whole congregations gradually succumbed to the creeping “leaven” of false doctrine. The apostasy gained momentum after the death of Paul and Peter. John, the last of the original apostles, wrote his three epistles against the evils and subtleties of the developing apostasy, which was spearheaded by false teachers and false apostles. 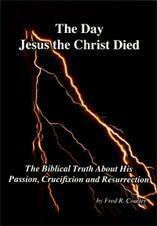 After his death, the churches of God were swept up in a sea of false doctrines. The end result was the rise of the Roman Catholic Church! Could You Fall for a One-World Religion? Today, the knowledge of God is being pushed aside and eliminated. Basic moral values founded in God’s Word, which the world had formerly accepted, are being systematically expunged or nullified in every aspect of life. 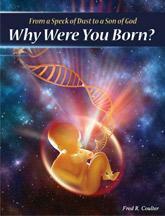 In their place stands Satan’s godless “New Age” human philosophy. To fully control this apostasy, Satan is bringing about the amalgamation of the world’s religions into a united global church! It will become the new one-world religion. Indeed, forces are already conspiring to form this new global religion. According to a World Net Daily news report filed in 1999 by Jon Dougherty, representatives from the religious faiths of some 50 countries have held regular meetings since 1995 for the purpose of promoting one global religion (Group Wants United Religion: Is Goal Mere Co-operation or Creation of One Faith? ; www.wnd.com/news/article.asp?ARTICLE_ID=15187; August 10, 1999). Dougherty writes that a group known as the United Religions Initiative (URI) has sponsored numerous global events, six regional conferences and three global summits in San Francisco from 1996 to 1998—all aimed at “cooperation and peacemaking among religions and spiritual communities.” URI officials typically use such buzzwords as “cooperation” and “peace” while denying that the organization exists for the purpose of forming a one-world religion. Dougherty is skeptical, however, noting that the URI refers to “forces in our world today that are calling for and supporting the creation of a United Religions”—a takeoff on the United Nations. The group is currently exploring what purpose, foundational values, principles, actions and organizational structure such a “UR” might eventually adopt. Similar unification efforts are being made by the so-called “Parliament of the World’s Religions” (www.parliamentofreligions.org). Supposedly, the group was created to “cultivate harmony among the world’s religious and spiritual communities” with an eye toward, once again, “world peace.” Since 1993, the organization has convened every five years in a major international city (Chicago, 1993; Cape Town, 1999; Barcelona, 2004; Melbourne, 2009). While the “Parliament of the World’s Religions” denies that it promotes a one-world religion, it proudly touts its “declaration towards a global ethic.” A “global ethic” is suspiciously close to a global faith. Like the URI, the group’s terminology appears intentionally vague. Working in concert with the URI and “Parliament of the World’s Religions” is the International Religious Foundation (IRF). Using similar hazy rhetoric as the two previous groups, the IRF is “dedicated to world peace through religious dialogue and harmony” (from the Foundation’s 1991 World Scripture—A Comparative Anthology of Sacred Texts, p. xiii). As a compilation of quotations from the religious texts of the world, the book purports to “honor the richness and universality of religious truth contained in the world’s great scriptures” (p. xiii). Reading between the lines, it is clear that the IRF shares the same ultimate goal, a global religion—as “all religions are connected to the same Ultimate Reality [their politically-correct designation for God]” (p. 33; emphasis added). According to the book’s editor, Andrew Wilson, ecumenical efforts are at an all-time high. “A movement for wider ecumenism has begun, bringing together for dialogue leaders and scholars from all the world’s religions” (p. 1). Wilson says that “as we move toward a world civilization”—a one-world government—there must be a “growing convergence and complementarity among faiths” (p. xi). He says all religions are to “inherit each other’s spiritual foundation and prepare for mutual cooperation” (p. xiv). Hesitant to use the phrase “one world religion,” Wilson speaks of “the call [among scholars] for a world theology” (p. 2). He adds that “it is inadequate to treat [existing] religions as discrete and independent entities. We must [rather] seek new, holistic models [a global religion] to describe the human religious experience.” And, “World Scripture can [be utilized to] support a world theology [can be used as “scripture” for a global religion] and guide us toward a unity of the world’s peoples” (p. 3). Even as recently as November of 2010, unconventional Muslim clerics orchestrated a “World Day of God” in which literally all religions were to participate in a day of prayer to “God” as defined by each particular faith. The event reeked of New Age pantheism mixed with dominant Islamic overtones (see www.IslamicSolutions.com). In a world long devoid of God’s truth, this new fusion of religions will be received as a wonderful “spiritual advancement.” In reality, it will be a grand pantheon of Satan’s religions and his gods. This “new” union of all religions will be the prophesied “MYSTERY, BABYLON THE GREAT, THE MOTHER OF HARLOTS AND OF THE ABOMINATIONS OF THE EARTH” (Rev. 17:5). Just as Satan is inspiring an ecumenical movement among the religions of the world, he is also subverting all nations and governments into accepting a one-world government. This one-world government will be the Beast System which “Babylon the Great”—in the person of the great False Prophet—will ride (Rev. 13; 17:1-6). Indeed, Satan’s final and greatest deception is rapidly developing. Once reaching its zenith of satanic power, it will sweep all peoples and nations into blatant Satan worship—replete with false signs, miracles and lying wonders—all designed to usher in the Antichrist. Empowered by Satan himself, the False Prophet will call down fire from heaven, proclaiming the Antichrist as the savior of the world. With the exception of true Christians who have the Holy Spirit of God, all the world will be utterly deceived into believing that the Antichrist is indeed the manifestation of God in the flesh—the long-awaited Messiah. People will have been prepared well in advance to accept and believe such lies. When the final Great Apostasy nears its climax and the greatest lies are taught, people of all nations will accept them with open minds. That grand deception is just around the corner! The final deception will be a one-world government with a one-world religion—one great Babylonian governmental and religious system set up in rebellion against God. This world-wide deception will be the greatest apostasy ever perpetuated! The grand finale of Satan’s deception will be the “mark of the Beast,” accompanied by open worship and adoration of Satan as God. All those who refuse to worship Satan and the Beast will be sentenced to death (Rev. 13). Satan’s grand deception will be so powerful and so compelling that the armies of the world will literally fight against Jesus Christ when He returns (Rev. 16:13-16; 19:11-19). As the prophesied apostasy is unfolding around the world, a spiritual apostasy—having been long in the making—has taken root within Christianity. Satan’s goal is to destroy the truth of God and, if it were possible, destroy the spiritual Church of God! He aims to deceive and destroy every begotten son of God by any means possible. Since he cannot kill every true Christian physically, he uses his seductive deceptions to subvert and destroy them spiritually. The most effective and least detectable method that Satan uses to deceive true believers is the promulgation of false doctrines from within their own church organizations. This departure from the truth of God takes place gradually and subtly. One by one, false doctrines creep in and begin to replace the true teachings of God’s Word. Little by little, the apostasy within “Churchanity” has taken hold, and truth and faith are being abandoned. Just as “a little leaven leavens the whole lump,” so the acceptance of false doctrine acts as spiritual leaven—leavening whole congregations. In baking, the leavening process begins slowly and imperceptibly as the tiny amount of leaven works its way throughout the large lump of dough. But once the leaven has permeated the entire lump, its pervasive effect is clearly visible, as it completely leavens the whole lump. The original lump of dough is completely changed into a wholly leavened loaf of bread. Spiritual leaven works the same way. When a little leaven of false doctrine enters a church, it must immediately be rejected. If it is allowed to remain, it will only grow and lead to the spread of error. Slowly and insidiously, more and more false doctrine will be introduced, until these deceptive teachings permeate the entire church. Such spiritual leaven can mushroom into mammoth doctrinal changes, completely transforming a church so that it no longer resembles a genuine church of Christ. Paul also warned the Colossians, exhorting them not to allow any man to deceive or corrupt them with clever-sounding doctrines of philosophy. “Now this I say so that no one may deceive you by persuasive speech…. Be on guard so that no one takes you captive [as one stalks an animal to kill] through philosophy and vain deceit, according to the traditions of men, according to the elements of the world, and not according to Christ” (Col. 2:4, 8). Peter admonished, “Be sober! Be vigilant! For your adversary the devil is prowling about as a roaring lion, seeking anyone he may devour. Whom resist, steadfast in the faith, knowing that the same afflictions are being fulfilled among your brethren who are in the world” (I Pet. 5:8-9). Those who desire to follow the true teachings of Jesus Christ must constantly be on guard against Satan and his seductive teachings through false ministers. Every believer must heed the urgent warnings recorded in the New Testament. These inspired words were written for all true Christians, “on whom the ends of the ages are coming” (I Cor. 10:11). As true Christians, each of us has a personal responsibility to God—WE ARE NOT TO ALLOW ANYONE TO DECEIVE US BY ANY MEANS! When people do not the love the truth of God, God gives them over to apostasy—to believing lies. People who turn to falsehoods believe them with the same conviction and intensity with which they formerly believed the truth. When that happens, they have surrendered themselves to Satan’s deception! They are his captives! That is exactly what Satan wants—to delude them into accepting false doctrines so that he can ensnare them in his ultimate deception. Those who turn away from the true teachings of God’s Word and blindly follow false teachers will ultimately fall prey to Satan’s most masterful deception—the end time Great Apostasy, led by the coming Antichrist, empowered by Satan with lying wonders! At that time, many so-called “Christians” who have never loved the truth will be so deluded that they will join the deceived masses of the world in their worship of Satan! Satan, who has deceived the whole world with his lies, will be welcomed with open arms and “worshipped as God” in the final delusion of the Great Apostasy (Rev. 13:4). Only by loving the truth and holding fast to the true teachings of God’s Word can we hope to escape this rapidly-developing, diabolical apostasy. Paul declared, “For the [Satanic] mystery of lawlessness is already working…. And then the lawless one [the Antichrist possessed by Satan himself] will be revealed (whom the Lord will consume with the breath of His mouth, and will destroy with the brightness of His coming). “Even the one whose coming is according to the inner workings of Satan, with all power and signs and lying wonders, and with all deceivableness of unrighteousness in those who are perishing, because they did not receive the love of the truth, so that they might be saved. “And for this cause, God will send upon them a powerful deception that will cause them to believe the lie, so that all may be judged who did not believe the truth, but who took pleasure in unrighteousness” (II Thess. 2:7-12). Paul clearly states that those who do not love the truth will be judged because they delight in unrighteousness. They do not delight in keeping the commandments of God, which are righteousness (Psa. 119:172). That is why they turn to false doctrines. They want “smooth things,” pablum, a carnal-friendly “Christianity”—to be free to live immorally, yet hide their unrighteousness with the appearance of godliness by attending church each week! Paul foresaw a time when many in the church would slip into moral decadence. They would begin to delight in unrighteousness and would turn from the truth, rejecting sound doctrine. “For there shall come a time when they will not tolerate sound doctrine; but according to their own lusts”—their desire for “smooth things,” pablum, a “costless Christianity”—“they shall accumulate to themselves a great number of teachers, having ears itching to hear what satisfies their cravings; and they shall turn away their own ears from the truth; and they shall be turned aside unto [religious] myths” (II Tim. 4:3-4). Have you turned away your ears from hearing the truth? Are you rejecting sound doctrine? Have you accepted false doctrines of religious mythology as truth? What about the doctrine of the Trinity and the denial of the human nature of Jesus? Do you realize that the Trinity teaching attempts to change the very nature of God in order to conform to pagan philosophical ideas? Are these false doctrines being preached by ministers and teachers in your church? What about Easter, Christmas and Halloween? What about Sunday observance itself—which is a pagan counterfeit of the biblical seventh-day Sabbath? Many today know about the true Sabbath but refuse to observe the day because to do so would conflict with so many social activities—which are typically held on Saturday. How about you? Mark this well—all who turn away from the truth and embrace religious myths and religious holidays of pagan origin will end up in spiritual blindness and will ultimately fall into apostasy. The Bible teaches us that when the leaders of any church organization reject the truth, they are judging God’s Word as unworthy of their acceptance and belief. In judging God, they have usurped the prerogatives of God, just as Adam and Eve did in taking of the forbidden tree. They have cut themselves off from God and have become blind leaders of the blind. If such ministers and leaders continue unrepentant in their errors, God’s judgment is sure to follow! After a period of warning, which God always allows, He will execute His judgment against them and their organizations—ministers as well as members. The apostle Peter wrote, “For the time has come for judgment to begin with the household of God; and if it first begins with us, what will be the end of those who do not obey the gospel of God?” (I Pet. 4:17). Judgment is sure to come upon every churchgoer and every minister who turns aside from the truth and follows after religious myths. But God tells us in His Word that He desires mercy and not judgment! Anyone who truly repents before God will have his or her sins placed under the blood of Jesus Christ and will find mercy. But if there is no repentance after repeated warnings, then judgment will follow—for God will not be mocked! Those who forsake righteousness and follow after unrighteousness will reap the reward of unrighteousness! “Do not be deceived. God is not mocked; for whatever a man sows, that shall he also reap. For the one who sows to his own flesh shall reap corruption from the flesh. But the one who sows to the Spirit shall reap eternal life from the Spirit” (Gal. 6:7-8). It is God’s desire that all true Christians sow of the Spirit to eternal life. We are to grow in godly character, to exemplify the love of God in our lives so that we may bear the fruits of the Spirit, which are “love, joy, peace, long-suffering, kindness, goodness, faith, meekness, self-control” (Gal. 5:22-23). Only then can we reap the reward of eternal life.